It’s easy to forget students when we’re giving feedback, planning professional development or leading PLCs. Instructional leaders are often so focused on supporting the development of teacher practice that they forget to check if their work has an impact on students. In three webinars, CEL experts and school district practitioners will share strategies for principals, coaches and central office leaders involved in instructional leadership training to keep students at the center of instructional leaders' work while improving their skill at giving feedback and planning professional development. Improving the ability to give feedback is one of the most efficient ways how leaders can have an impact on student results. Research shows that feedback is most effective when it’s descriptive, timely and results-oriented. But how do we give “effective” feedback? And how can time-strapped instructional leaders improve their skills and make a habit of giving better, more actionable feedback that results in student learning? In this webinar, CEL Chief of Staff Jennifer McDermott and Rebekah Kim, principal of Midway Elementary School in Des Moines, Wash., discuss strategies that develop feedback and ways to implement those strategies in your daily practice. How to keep feedback concise and useful. How to connect teacher practice to a student result. How to use evidence to ground your feedback. • What is feedback and why is it important? • Why do we forget the students? How do we make our feedback more results-oriented? 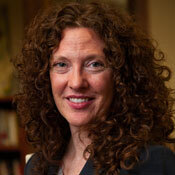 Jennifer McDermott serves as chief of staff for the University of Washington Center for Educational Leadership. She joined CEL in 2011 as a project director, and her work focused on supporting teachers in secondary literacy, supporting literacy coaches with their coaching practice, and helping schools and districts design professional development. Prior to her work at CEL, Jennifer taught high school English, worked as a district literacy coach and educational consultant, and led professional development initiatives for the Center for School Improvement at the University of Chicago. 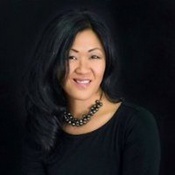 Rebekah Kim is the principal of Midway Elementary School in Des Moines, Wash. She has been an elementary principal for ten years in the Highline School District, centering her instructional leadership work around the core values of diversity and equity. In her current role she has led her staff and community through an instructional shift using a blended learning model that provides students access to content with technology. Rebekah serves on the Association of Washington School Principal's Diversity and Equity Board, collaborating with principals across the state on how to provide their colleagues with resources to narrow the opportunity gap for all students. In this webinar, you will hear examples from the field and learn specific skills and methods to improve your feedback. Planning professional development is an important part of every instructional leader’s work. But it’s also a task full of challenges. It requires a leader to look at both the big picture and the details. To really make a difference with professional development, leaders need to consider the needs of students and teachers, create clear expectations for implementation and provide the right amount of support for everyone. Join CEL Chief of Staff Jennifer McDermott and Laurie Cooper, director of teaching and proficiency learning at the Woodburn School District in Woodburn, Oregon, and learn how to approach this difficult task and learn specific skills to plan professional development to impact student growth. How to plan year-long and stand-alone professional development based on students’ needs. How to ensure effective results from short and long-term professional development. How to identify the resources to support successful implementation. • What are they key reasons professional development doesn’t result in teacher or student results? • What can leaders to do to make professional development results-oriented? 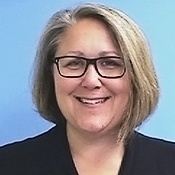 Laurie Cooper is the director of teaching and proficiency learning for the Woodburn School District in Woodburn, Oregon. She creates and sponsors professional development systems that help administrators and teachers continually improve their practice. She is an accomplished educator with more than 20 years of experience as a language arts teacher, speech and debate coach and principal at both the high school and middle school level. She is committed to promoting professional improvement and equity in a high-poverty, ethnically diverse school district. In this webinar, you will hear examples from the field and learn specific skills and methods to improve your professional development planning. An outline with steps, rationale and prompts to support planning year-longshort-term and long-term professional development efforts. Professional Learning Communities or PLCs are a very common professional development method in today’s education world. But while many PLCs are incredible learning opportunities, others feel like time wasted. As an instructional leader, you have to know how to plan and lead PLCs — and how to turn PLCs into events that truly support teacher learning and student growth. The good news: Planning and supporting the effective implementation of PLCs is a skill most instructional leaders can learn with more knowledge and better preparation. In this webinar, Jennifer McDermott and Nicole Pete, K-12 teaching and proficiency learning coordinator at the Woodburn School District in Woodburn, Oregon, walk you through the specific skills needed to support the implementation of successful PLCs that can impact student growth. How to create indicators of successful PLCs. How to observe for indicators of successful PLCs. How to support implementation of successful PLCs. How to identify the relationship between PLCs and student growth. • What makes PLCs ineffective? • How do leaders support teachers in making their PLCs more effective? 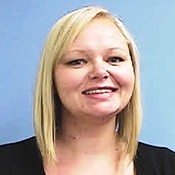 Nicole Pete is the K-12 teaching and proficiency learning coordinator for the Woodburn School District in Woodburn, Oregon. In her work Nicole supports teachers and instructional coaches in their collaborative, data-driven practice. Before starting her current role this July, she served as a high school language arts teacher and instructional coach in the school district. Prior to her work in Woodburn, Nicole taught language arts at both Futures and Juanita High Schools in the Lake Washington School District. She is committed to engage, inspire, and prepare Woodburn’s 5,600 students within a bi-literate, bi-cultural context. In this webinar, you will hear examples from the field and learn specific skills and methods to improve the implementation of the PLC structure. You will get three months of access to the respective webinar(s) recordings plus exclusive learning resources.